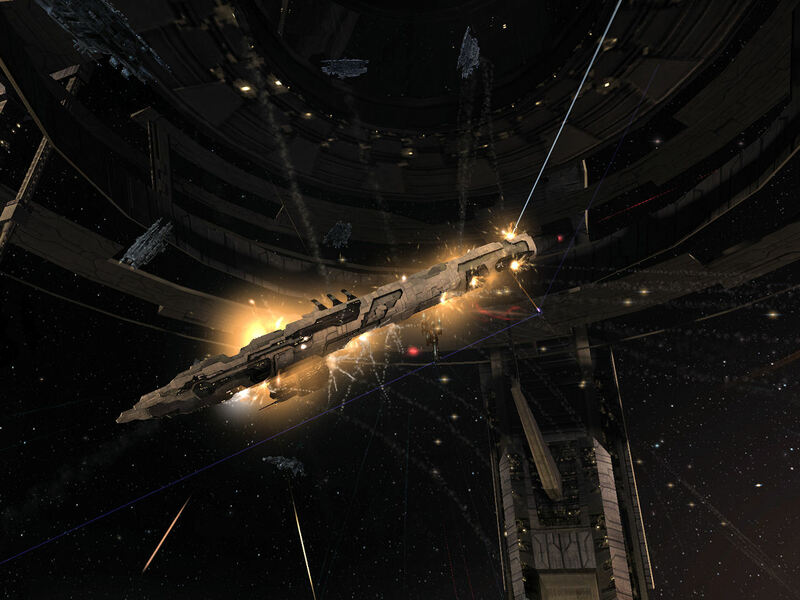 CCP Nullarbor has gone on record, in some of the communities surrounding EVE, saying that docking games are done, specifically for Citadels. You will not be able to dock in a Citadel while scrambled or focus pointed. The way that this information has been presented is a bit incomplete as far as precise documentation is concerned, it seems to be just for Citadels. In my opinion the best docking games happen in NPC stations where both parties can dock. That would be highsec, lowsec, and NPC 0.0. 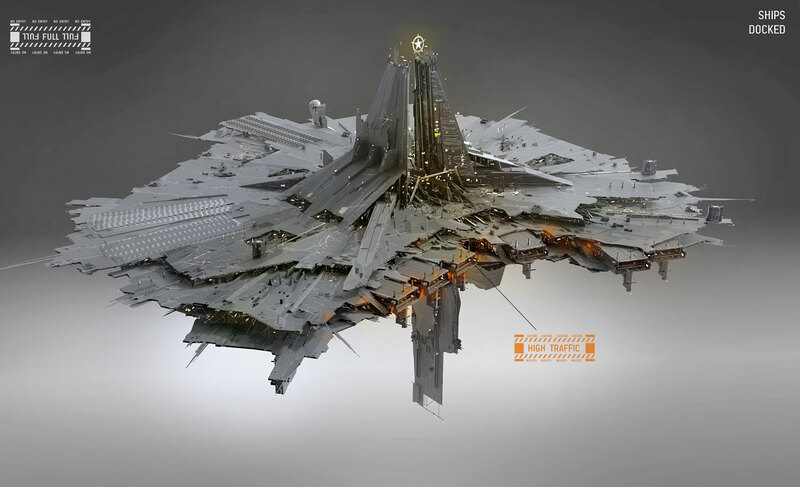 Based on what CCP has revealed, player outposts will eventually be “nuked”, and need to be replaced by Citadels. NPC stations are not yet on the chopping block. So it appears that all the people playing docking games in NPC stations will get to go about business as usual. The situations this will change are docking games where only one party can dock because they own the structure, and POS edge shenanigans. I do not normally think of Sov 0.0 as the home of docking games. I have not often experienced a situation where a hostile ship was sitting on their own station trying to deagress and dock before I killed it. That mostly comes from my playstyle. I run fleets big enough to blap a ship before the aggression timer runs out. When I do solo or small gang, I do not operate in dock range of enemy staging stations where I cannot dock. I would prefer the bad guy MWDs 100 km off the station, chases me to the gate, or gets caught in my bubble. If you solo directly on the undock of a claimed station you have no time to react when other enemies undock, and because you cannot dock there, you have little incentive to hug the docking radius yourself. There is no safety there for you. However, there is one phenomenon that I have seen on sov stations that would particularly benefit from this change. Rarely residents will commit triage carriers on their undock without being willing to warp that ship to a gate or into open space. As far as docking games go however, a carrier in triage is just begging to be bumped off the station during the five minute timer anyway. On the other hand, POS edge combat constantly happens. It is not uncommon to see capitals hugging the very edge of a POS and repping or applying massive amounts of damage. It is very hard to stop a properly positioned capital from escaping to safely inside the POS forcefield if it decides things are not going its way. Defender fleets regularly duck into the forcefield as a prelude to fleeing the field. This is a major game change for POS warfare. It eliminates a severe home field advantage that allows defenders to fight with carriers, supers, and titans with very minimal risk. I have been in countless capital fleet fights where the tactic of hugging the forcefield was the defining element of the fight. From just the fights I have witnessed, if this change had been in place, there would be hundreds of additional dead capitals (some friendly to me and some not). I would have lost a titan four months or so ago. There is going to be a change in tactics. I will not dangle my titan in the wind in the way that got it to 30% armor far from the Pandemic Legion capital fleet. People will not fight with supers on the undock of a Citadel without being very confident in their ability to save them when the situation goes sour. In general, the obnoxious gamey aspect of hiding in the shadow of safety will end. People will commit to fights and victory will not slip away so often. But people will not elect to fight as often either. Knowing that the risks are now higher, they will take fewer of them. However, there are a number of different situations tangentially related to docking games that will be drastically affected by the changes. The first of these is ganking unsuspecting victims on an undock with no aggression timers involved. A common kind of camp is to set up outside of an enemy staging station with a high alpha doctrine like Tornados. When an enemy ship becomes lockable, the camp instantly destroys it. A good pilot should be able to avoid this, but many people screw up. There is no time to realize the mistake and hit dock if you accidentally let a tornado fleet lock you up. With the changes, when you undock you get the invulnerability link. The Tornado fleet cannot touch you unless you are really dumb and drift out beyond the range of the link. In the meantime you can leisurely evade any bubbles and safely warp to wherever you want to go. This is similar to the way that you can warp safely out of a POS forcefield most of the time. I do not care for this. I have gotten a lot of content camping enemy staging stations. The activity is very likely to generate a fight. This change reduces its effectiveness when it is a behavior that I believe should be encouraged. You have made a serious commitment to content when you bring a fleet to an enemy staging system. Warping to a camped station to dock is also changed. Assume there are no bubbles. In that case, on land you automatically get hit with the invulnerability link. You cannot be scrammed to prevent your docking. Nullarbor’s statement is, “The mooring will be automatic, if you are in range and not scrammed / have an aggression timer it will immediately grab you.” Currently, warping to a station at 0 km is a crap shoot. Sometimes you land just a little bit away from the docking range. The Tornado fleet might blow you up. You might get bumped further out of range. But the problem is easily solvable if you have any skill. You dock by warping to an insta-dock bookmark, located well within the docking radius. The mechanic mostly punishes noobies who do not know to use a bookmark. Getting rid of it is great. The last point to touch on is moving capitals from point to point. CCP Nullabor says, “We havn’t fully decided yet but cyno’ing within docking / mooring range should be ok.” This is a huge change. Capitals such as carriers and jump freighters regularly travel in perfect safety from station to station by cynoing within dock range of the destination station. On the other hand, cynoing on the edge of a POS is much more dangerous. The cyno is set a minimum distance from the pos forcefield. Capitals cynoing in have to make a dash to the safety of the forcefield. Doing that is how I almost lost a titan earlier this year. This is currently the only way to travel for supers and Titans. A carrier is safe going from station to station, but a supercapitals cannot dock as of now. After the changes a titan could be moved with near perfect safety from one end of EVE to the other if the owner was willing to foot the bill to put up smaller citadels all along the route beforehand. Given that no service rigs are needed, the cost would be minimal. The invulnerability link from each citadel would protect the titan the instant it materialized. The only issue would be the possibility of bumping. We will need to see the models and how they interact to say more about bumping. Either way, when the fishing crews of various alliances realize that supercapitals are going to be safe traveling across EVE, they are going to be unhappy. Expect some angry posts on reddit from prominent big game hunters. I look forward to the meta shift this set of changes will bring. Nothing appears obviously broken to me at this point in time. The way that capitals fight will be shaken up in a very good way. It is terribly ironic that safe supercapital travel will be the result of a set of changes meant to stop docking games. 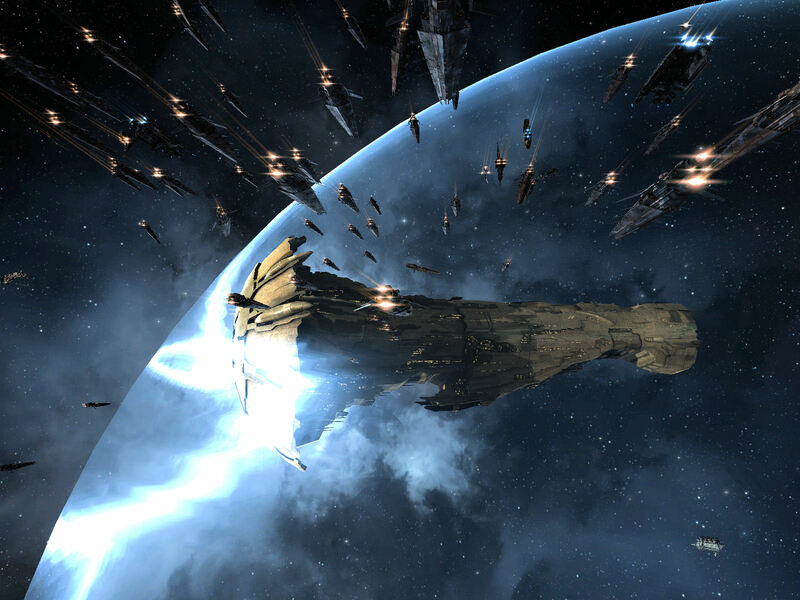 I assume CCP understands that this will be the result and have chosen the outcome as desirable. Overall it looks like a decent set of changes and I look forward to seeing details.